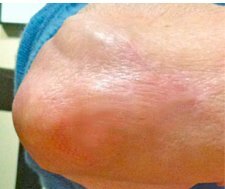 drastic improvement in just 4 weeks! 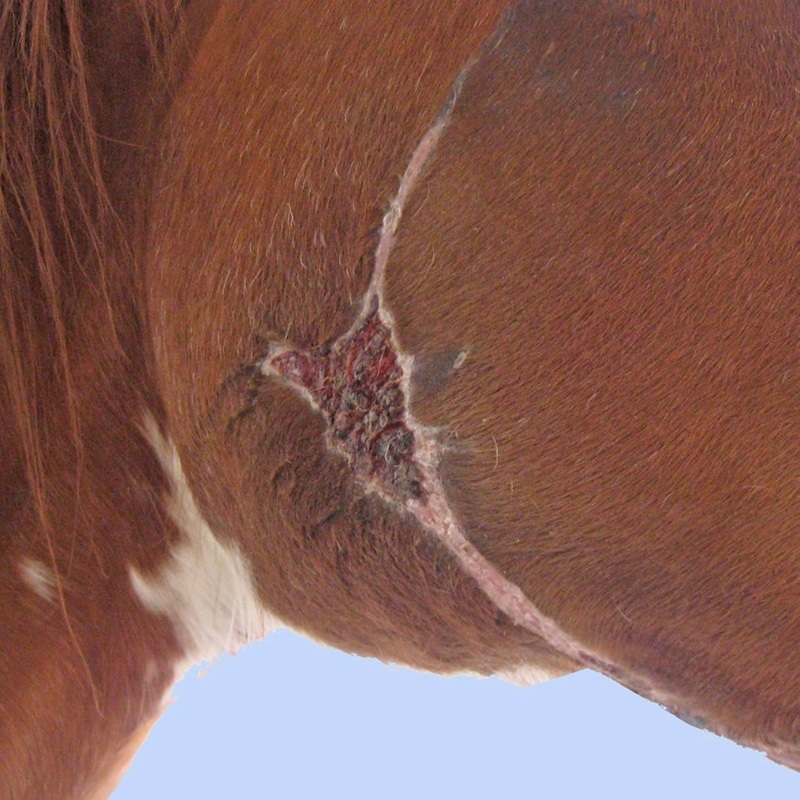 Kipling had 47 wounds to his skin when he arrived at a rescue . Apart from all the other starvation and body issues, Equisoft healed those brilliantly with no visible scar remnants after 2 months of treatment. This is an compelling example of Equisoft at work displaying it's extraordinary healing qualities for people. 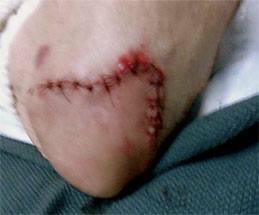 Elsie is a 90+ year old woman who had 22 stitches in her elbow. 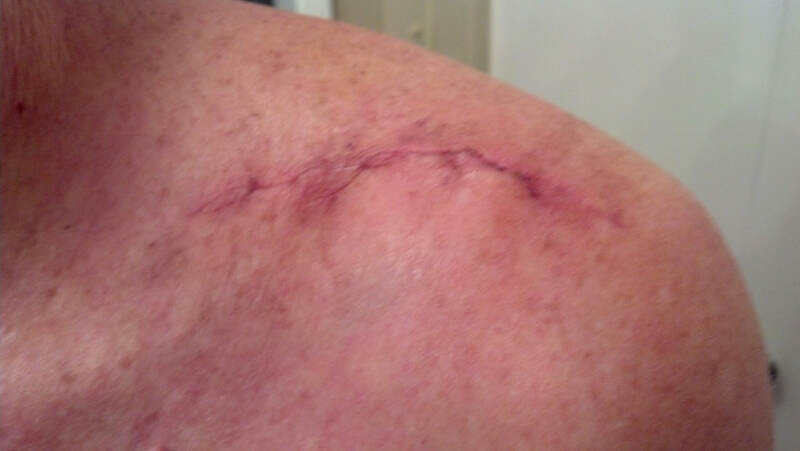 After twice daily Equisoft application and Keloidal massage, the scar is hardly noticeable after 3 months. 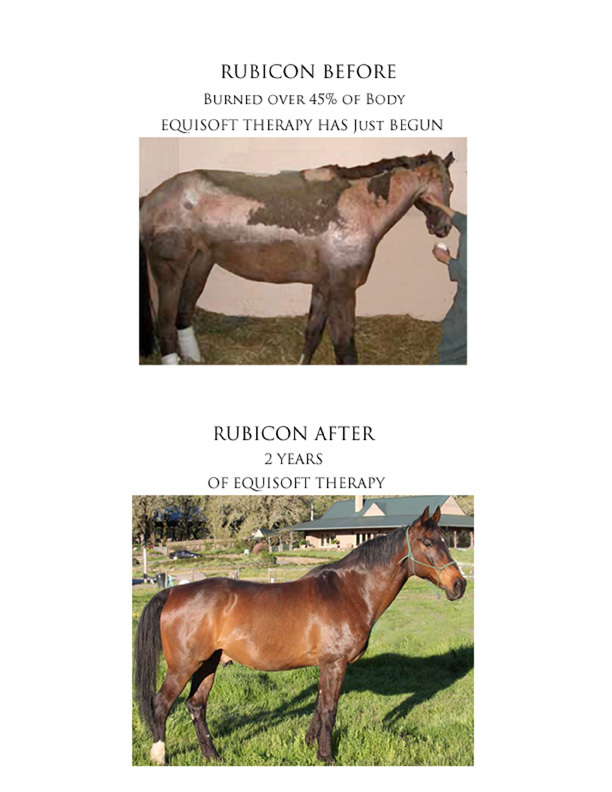 This is one of the most extreme examples of the healing power of Equisoft Vitamin E cream. 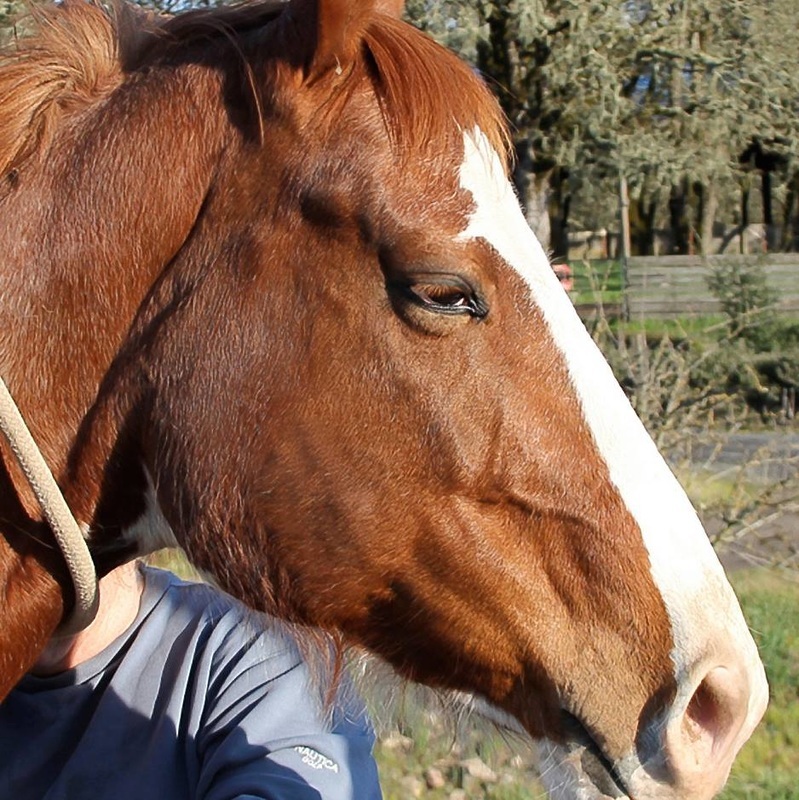 This poor horse was in a trailer accident and had the right side of her face 'de-gloved' or sliced off. 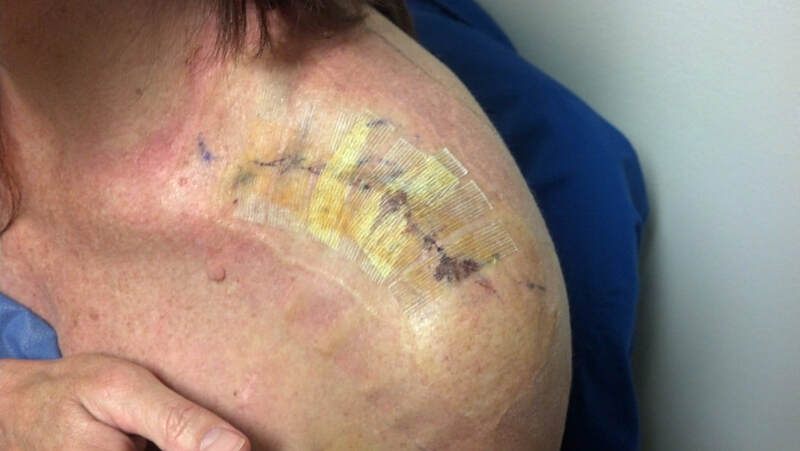 It was hanging from her, and after 300 stitches and 4 hours of surgery she had little chance of ever appearing normal again because of the massive damage...the scarring would be very pronounced and keloidal. 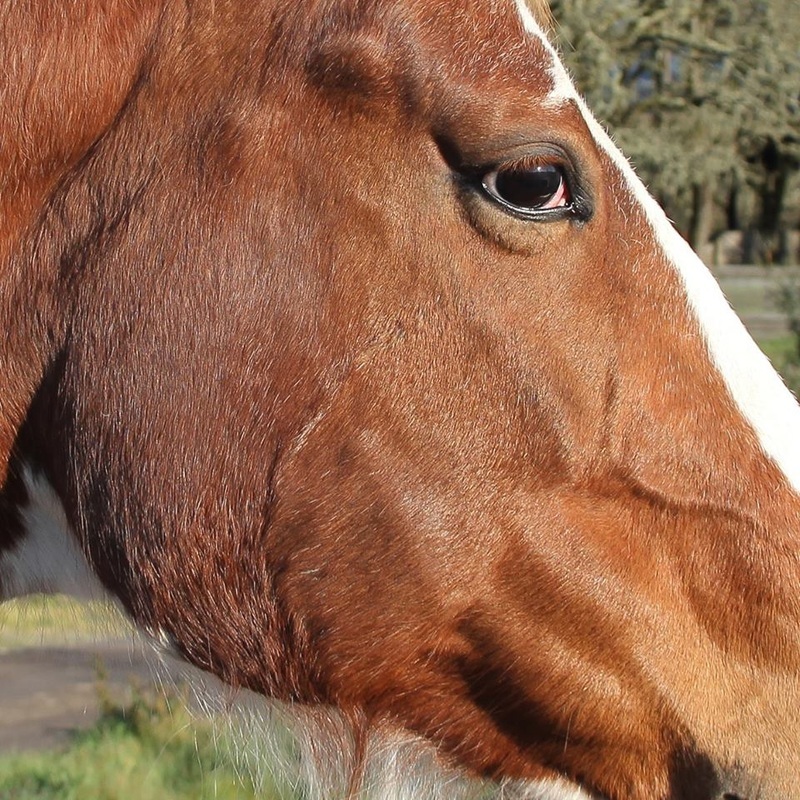 As soon as the wound had healed enough to allow treatment, we began a twice daily application of Equisoft, applied with a special massage technique to help soothe and start to break down the heavy inflexible scar tissue. 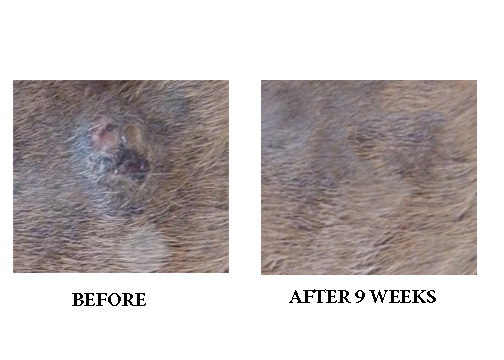 The second picture shows her healing after just 7 months...We cannot show you the original wound—it is too graphic—but the 'after' pictures speak for themselves! 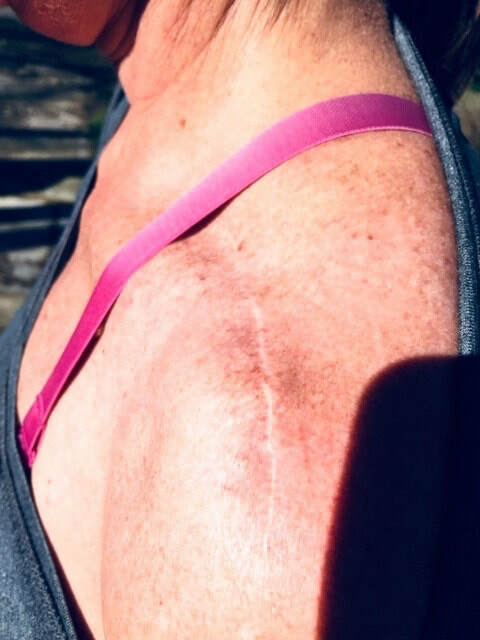 The final picture shows her healing after only 9 months...These photos celebrate the almost complete healing of the scar!